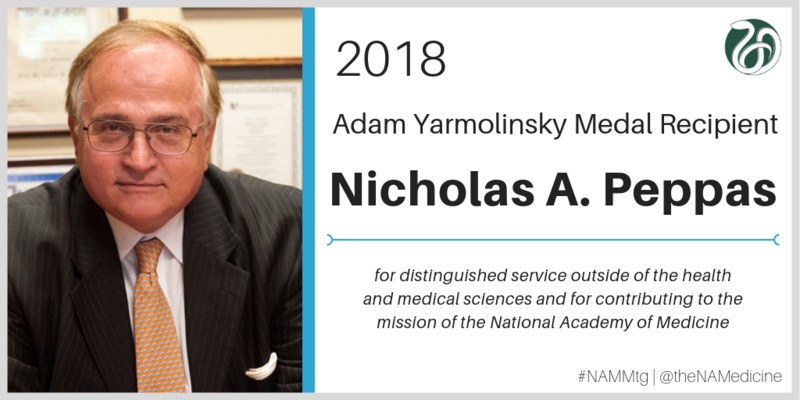 The Adam Yarmolinsky Medal is awarded to a member of the National Academy of Medicine from a discipline outside the health and medical sciences — for example, from fields such as the social and behavioral sciences, law, public policy, and administration. It recognizes distinguished service by a member who, over a significant period of time, has contributed in multiple ways to the mission of the NAM. The Adam Yarmolinsky Medal was not conferred in 2010, 2011 and 2014. Ruth R. Faden, Ph.D., M.P.H.